Our two ewes. Qui is on the left and Notion is on the right. Sheep are referenced in the bible over 500 times. Most frequently, they are compared to humans. Having been a shepherd for a whopping five months, I can testify to the sheer insanity of sheep. They are afraid of everything. They panic unexpectedly and frequently which causes them to bolt in different directions. Metal wall in the way of escape? They will attempt to jump through it. Don’t believe me? Come count the dozens of sheep-shaped dents in our shed. Patmos, our ram. See the dents in the shed behind him? Hubs has become an expert at catching sheep in mid-air with the crook. Seriously, he’s reached sheep-ninja status. We raise Barbados Blackbellies, which are promoted by the Livestock Conservancy in an effort to protect endangered livestock breeds. Lots of research went into our breed choice. We knew that we wanted hair-sheep, which are used for meat and shed their winter wool without having to be clipped. 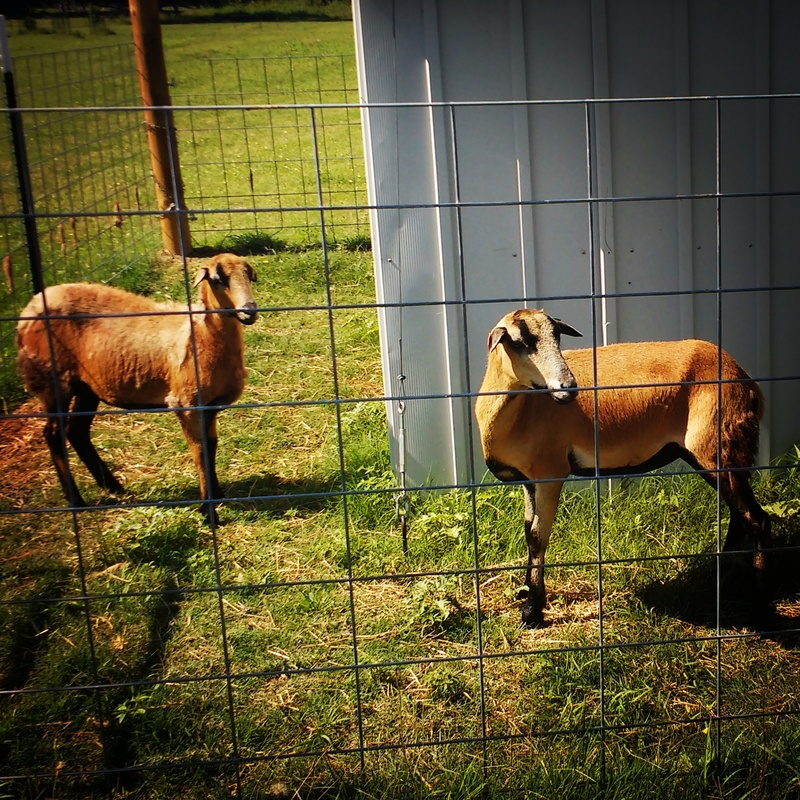 Raising sheep for meat was our number one goal until we discovered the Barbados Blackbellies. Now our goals are split equally between preserving the breed and producing quality grass-fed lamb for consumption. Blackbellies are known for their tender, flavorful meat without the common “gamey” taste of wool-sheep. 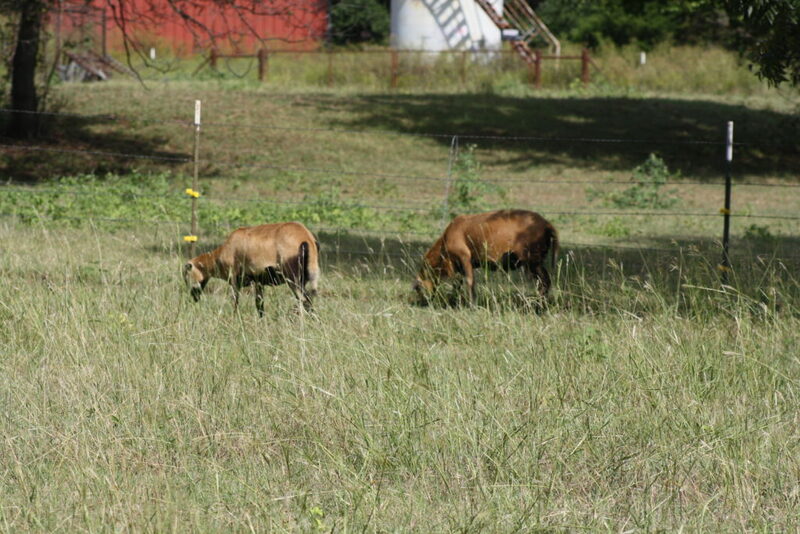 Our seven acres of pasture land can handle a large number of sheep using a rotating pasture method. 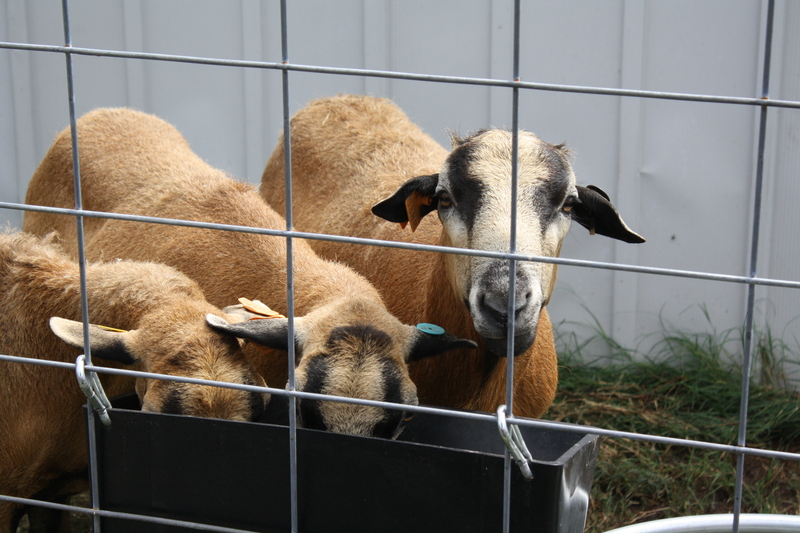 Each ewe typically has two to three lambs over three breeding seasons in a two-year period. If we’re lucky, we’ll get six to nine lambs every two years from each ewe. That’s a lot of insane beings on four-legs in one area. We need to be smarter than the sheep. Thankfully the bible says people also come in the goat variety.